Forget character voices. Forget deep, grovelly sounds. Forget accents. The number one skill I have is cold reading. I recently attended a convention in San Francisco called BABScon, where they had a very special event: a voice acting competition. The judges of this event were three amazingly talented folks: Tara Strong, Nicole Oliver, and Brian Drummond. The finalists of the competition were given several challenges to undertake–one from each of the three judges. Tara’s challenge was arguably one of the toughest: cold reading. Each of the contestants were given bits of magazine ads and asked to read them in various voices. It’s hard to do! 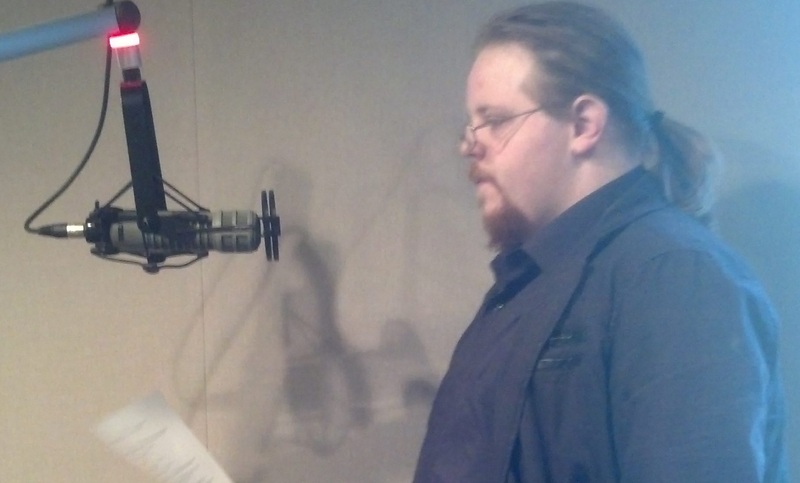 The reason behind this challenge is simple, though: It’s one of the most expected skills of a voice actor. “You never know if you’re going to audition for a part, and the director might give you a completely different part to try out,” Nicole Oliver explained during the vocal competition. Cold readings are HARD. It’s one thing to act, put on a voice, and read from a script. It’s an entirely different animal if you act, put on a voice, and read from a script for the first time. Oh, and you’re of course expected to knock it out of the park. So how do you improve your cold reading skills as a voice actor? I have a few suggestions. Expand your vocabulary. Get a Word-a-day calendar. Learn how obscure words are pronounced. I love learning word etymologies because it helps me pronounce new words I come across. Practice natural speech patterns. Sentences are structured with innate pitches corresponding to the part of a sentence. You can pick up on this by studying grammar, and just practicing speaking. Read things out loud. Newspapers, magazines, internet articles, shampoo bottles—anything. Don’t stop reading out loud because, over time, you’ll get into a habit of expecting certain cadences of your voice while reading voiceover copy. As always, a voice actor should be prepared to practice! That way, if a producer hands you a script, you can look at it and rock out with little more than a glance at the words. It will leave you free to focus on your acting. Reading out loud is the most practical approach, although the other suggestions can help. The more you read out loud the better you will get at it. Trying to read a newspaper precisely as a character should be an entertaining challenge.